James Bridger was born at Richmond, Virginia, on 17th March, 1804. At the age of 14 he was apprenticed to a blacksmith in St. Louis. On 13th February, 1822, William Ashley placed an advertisement in the Missouri Gazette and Public Adviser where he called for 100 enterprising men to "ascend the river Missouri" to take part in the fur collecting business. Those who agreed to join the party included Bridger, Tom Fitzpatrick, William Sublette, David Jackson, Hugh Glass, Jim Beckwourth and Jedediah Smith. In August 1823, Bridger was a member of a party led by Andrew Henry. One of the men, Hugh Glass, was badly mauled by a bear. Henry, left Bridger and John Fitzgerald, behind to look after him. They became convinced he could not live and after taking his gun and equipment, abandoned him. When Bridger and Fitzgerald caught up with Henry they reported that Glass had died from his injuries. In 1824 Bridger discovered the Great Salt Lake. 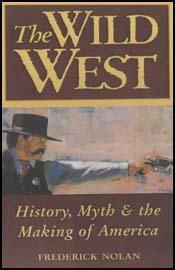 He also went trapping with William Sublette, David Jackson and Jedediah Smith in the Wasatch Mountains in Utah. Later he helped establish the Rocky Mountain Fur Company. Bridger developed a reputation as a courageous mountain man and was willing to work as a trapper in dangerous Blackfeet country. In 1832 he was hit in the back with an arrowhead. He recovered and in 1835 worked with Kit Carson and Joe Meek. After the trip was completed Bridger managed to get Dr. Marcus Whitman, a medical missionary, to cut out the arrowhead from his back. In 1843 Bridger established Fort Bridger, a trading post on Black's Fork of Green River in Wyoming. Over the next few years the post became established as a resting place and supply station for wagon trains on the Oregon Trail. Bridger also employed his blacksmith's skills in the fort. Later it also became a pony express station. 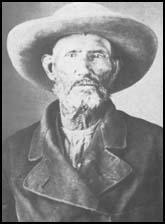 After his first wife died, Bridger married a Ute woman. She died in childbirth and in 1850 he married a Shoshone. The couple had two children. In 1853 Bridger upset local Mormons by selling weapons to Native Americans. An attempt was made to arrest him and Bridger fled to the mountains. Later he moved to Fort Laramie. He continued to work as a guide and accompanied General Albert S. Johnston during his military campaign (1857-58). In 1868 he settled in Westport, Missouri. James Bridger, who he lost his sight in the 1870s, died on 17th July, 1881.